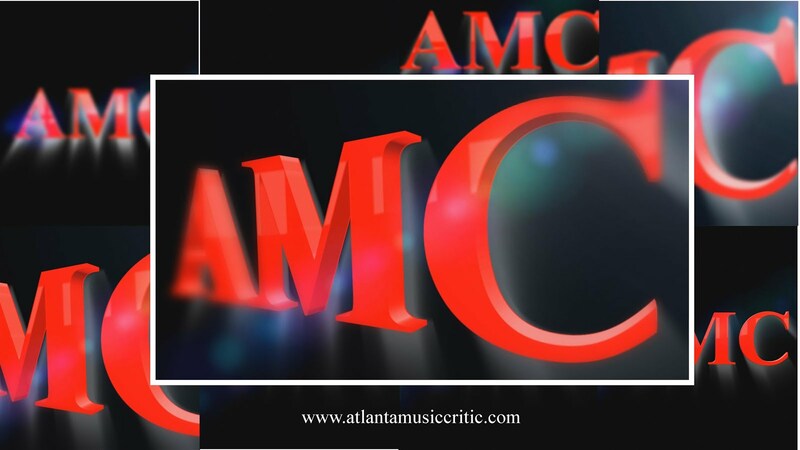 Atlanta Music Critic: A Festival Opera.. There is a silly squabble going on in Pittsburgh about the new name of the former Opera Theater of Pittsburgh. It is now the Pittsburgh Festival Opera! 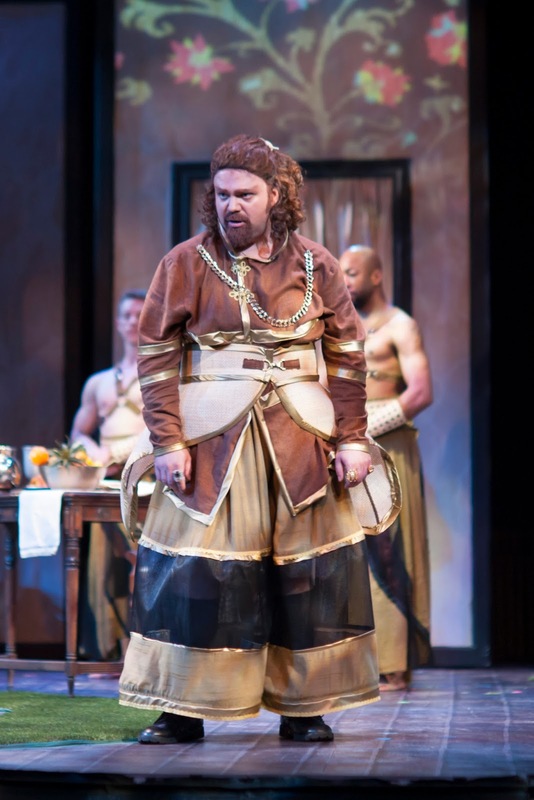 Some think it might be confused with one of the other opera companies in the city, but as Artistic Director, Jonathan Easton says " We are based in Pittsburgh. We perform in a Festival. And we do Opera!" Well, that makes sense. On July 16, 2017, the Pittsburgh Festival Opera staged a performance of Handel's 1738 "Xerxes." This is a somewhat strange work; it begins with the King of Persia singing to a tree, ("Ombra mai fu") and it glides between being serious and comedic. In fact, the work was largely ignored after it was premiered until a revival in 1924. Overall the story and situations tend more toward the comedic, and yet it does have one of those not-so-subtle tales of the power of love. 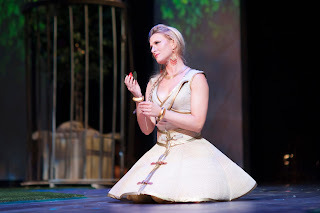 Today, the title role is often sung by a soprano or mezzo-soprano. In this performance, Xerxes was sung by countertenor Andrey Nemzer and his brother's role was sung by another countertenor, Daniel Moody. This was a very nice casting by the PFO and it added a bit to the comedic value of the opera. Sitting behind the stage set, the Chatham Baroque provided the orchestral accompaniment on what sounded like period instruments, all under the direction of conductor Walter Morales. The set (designed by Hank Bullington) was spare but took advantage of projected images to enhance its look and flexibility. The costume (designed by Tony Sirk) were quite well-done. There were two dancers, Weylin Gomez and Mils James. Nemzer was outstanding; he commands the stage and his voice is incredibly strong. Moody also has a fine, if less domineering, voice. Evan Koons, James Eder and Bonnie Frauenthal were very fine singers with great comedic timing, and they did not need to resorting to slapstick to be funny. 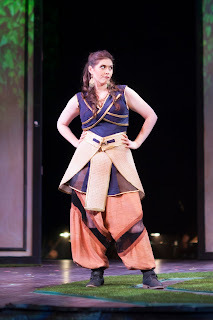 Emily Harmon, playing Xerxes' fiancee, seemed less comfortable with the Baroque flourishes and breath control required by the music. The dancers were a nice addition, but they were frequently not together. Mr. Gomez, though, has wonderful extensions and he seemed truer to the music's beat. Overall this was a great performance and a real tour de force for Nemzer. 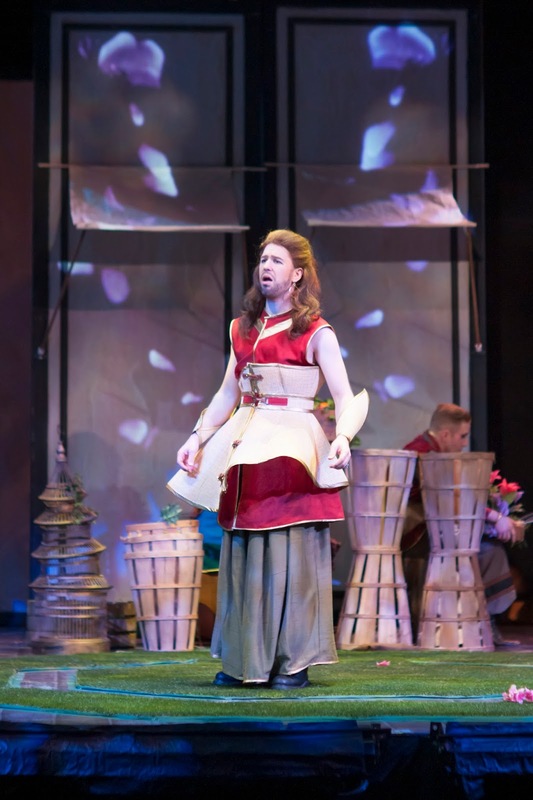 The Pittsburgh Festival Opera is a summer delight. They are tackling the Ring Cycle over the next few years. Kudos to the company!